Fibre To The Home | Fancom Connects Ltd.
Fibre-to-the-Home, often abbreviated as FTTH, is gaining interest currently from communities that are not served by major internet providers such as Bell, Rogers and Cogeco. Smaller rural communities are often not served by these companies as they are not sufficiently large to represent a good business investment owing to modest possible subscriber numbers and a longer than desirable return on the internet provider’s investment. In these situations a competitive local exchange carrier (CLEC) may take on the challenge of providing internet connectivity to the community through an FTTH program. FTTH networks allow very fast downloading of large digital files such as movies and are therefore the method of choice for ultra-high speed connectivity to the internet. The FTTH network can also serve as the distribution platform for telephone, security and other applications. At its core, an FTTH program requires a centrally located data centre which acts as the main hub for the FTTH network. Connecting to the hub is a fibre optic cable from a major company such as Hydro One in Ontario. The connection to this main fibre optic line allows connectivity to the outside world through the internet. 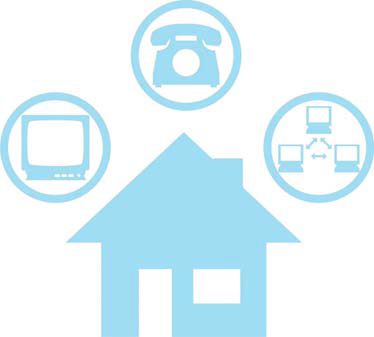 In order for individual homes to connect to the internet, the main hub has to be connected to each home. Imagine the centre of a wheel as the data centre with spokes radiating out from it into the community. 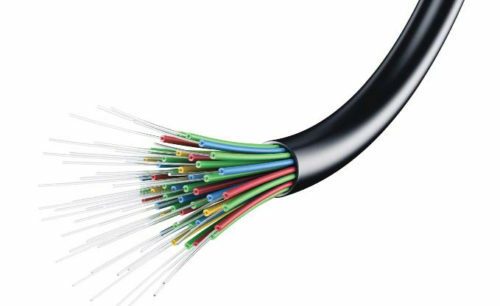 Each spoke or distribution cable may contain several optic fibres which eventually connect to each subscriber’s home. Cabling used to connect homes and businesses back to the data centre is installed underground through a series of conduits connecting the data centre to remote sites within the community and in turn to local connectivity pedestals on community streets. Each pedestal may serve several homes or businesses. Once the fibre is connected to an individual home, a signal converter converts the optical signal for use in various applications for use in TV entertainment, phone communications (Voice over Internet Protocol, VoIP) or other data applications on a computer or tablet. Within the home or business a wireless router may be set up to allow access to the internet from any point. For large commercial, institutional or industrial settings, it’s a good idea to perform a wireless heat map survey before deciding where to locate your wireless access points (WAP). This preliminary step to good wireless design will ensure your FTTH connectivity to the end device is maximized. Depending on the service provider, FTTH connected homes may enjoy triply-play connectivity. This term refers to phone, internet, and television services all being brought to the home on a single fibre optic cable.